THE European Union has agreed to lift the illegal sanctions it imposed on the Zimbabwe Mining Development Corporation, the State-enterprise in joint venture partnerships with diamond mining companies at Chiadzwa, an EU diplomat told the international media on Tuesday. The scrapping of the sanctions followed Belgium’s call for the removal of sanctions in the wake of the widely endorsed harmonised elections. Reuters yesterday quoted an unnamed diplomat as saying the EU had “begun the process of delisting” the ZMDC after senior EU diplomats discussed the issue at a meeting in Brussels in February this year. Cracks had emerged in the EU over the bloc’s illegal economic sanctions regime, with Belgium calling for the immediate lifting of the embargo. President Mugabe and Zanu-PF romped to a crushing victory over the MDC-T in the harmonised elections. While the US, Britain and its dominions, Australia and Canada, have refused to endorse the elections, the EU as a bloc finally pronounced yesterday that it was finalising modalities to scrap the embargo. Speaking to The Herald yesterday, the Minister of Mines and Mining Development, Cde Walter Chidhakwa, said Zimbabwe welcomed the latest EU position on the Marangwe diamonds. “This is good news not for the ZMDC only but for Zimbabwe as a whole. It is coming so clear that the basis these countries imposed the sanctions of Zimbabwe were not solid. “We hope they are going to take this process to the end because at this stage it’s official they have made recommendations and are waiting for the ministers (foreign) to give a go-ahead,” he said. Cde Chidhakwa said it was everyone’s hope that the ministers were going to meet very soon. “Naturally, for the Zimbabwe Mining Development Corporation and its partners, I am sure it was really difficult to operate,” he said. Sadc has since endorsed the elections as free, peaceful, generally credible and a reflection of the will of Zimbabweans and it was the world’s hope that the EU foreign ministers were going to honour their pledge. The divisions in the EU come at a time when the Government’s sanctions lawsuit against the European bloc is set for hearing in the Belgian capital by the end of this month or early October. Brussels, the centre of the global diamond trade and home to Antwerp, the world’s leading diamond trading hub, was all along pushing for the removal of the illegal sanctions on the ZMDC as it angles to tap into the country’s vast reserves that are tipped to command 25 percent of the international market. 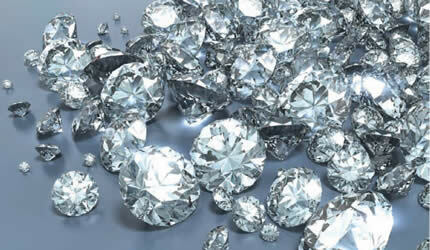 ZMDC is in partnerships with five diamond mining companies at Chiadzwa, whose operations have all been certified by the Kimberley Process Certification Scheme, a development that flies in the face of claims by the EU bloc that the Chiadzwa gems fall in the ambit of conflict diamonds. The joint-venture mines in the Marange diamond fields produced a combined eight million carats of the gems last year and generated US$684,5 million in exports. Of the US$684,5 million, Mbada Diamonds contributed US$308,3 million, followed by Anjin with US$209,9 million, Diamond Mining Corporation US$100,8 million and Marange Resources US$236 317.